Madeline MacFaddin ("Mad Mac" to fans of her bestselling magical stories) spent blissful childhood summers in Ticonderoga Falls. And this is where she wants to be now that her adult life is falling apart. The dense surrounding forest holds many memories, some joyous, some tantalizingly only half-remembered. And she's always believed there was something living in these wooded hills. But Maddie doesn't remember the dark partsand knows nothing of the mountain legend that holds the area's terrified residents captive. She has no recollection of Ash, the strange and magnificent creature who once saved her life as a child, even though it is the destiny of his kind to prey upon humanity. And soon it will be the harvest . 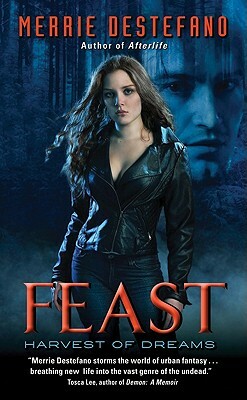 . . the time to feast. Once again Maddie's dreamsand her soulare in grave danger. But magic runs deep during harvest. Even a spinner of enchanted tales has wondrous powers of her own . . .